is bake. The obsession started sometime earlier this year. And have been baking away. Bought a small oven and then bought a bigger one, with whatever sad contraptions that are available in the name of convection ovens (not microwave) in Chennai. My mother was mostly complaining that I would never step into the kitchen except of course to make tea or coffee and then suddenly baking started. Coming to think of it, I don't know when and how I started off with this. Maybe a friend goaded me into it. And that was the beginning of this hobby. Yes, I think the credit goes to her and she said lets bake this weekend. And we first tried a chocolate fudge microwave oven cake. Which came out well enough since we followed a microwave oven recipe. But figured microwave ovens, even if they have the convection mode are not designed for serious baking at all. And I have fallen hook, line and sinker into this hobby. Eggless baking mind you. Which meant checking out all the vegan baking books and just checking out what they do instead of eggs. And next calling friends over and asking them to try this and try that. Nevertheless, to you, I'd suggest you try some sort of a food preparation except instant food, of course. I am sure doing this on a daily basis is ho-hum. But check out baking. Its quite a wonderful experience. Keep bakeing and dont forget to sing for us. yours was the first blog i read a few years back. I think i have left few comments some 4 years back. nice to read your blog again after a long time. you are quite a multitasker at your age and you now don the hat of a baker. Rock on. Do share the eggless cake recipes. Hi , I love to bake. like you, i bake only vegetarian deserts. I strongly recommend you to try Red velvet cupcake ( eggless) with cream cheese frosting. It's delicious and very very colorful. Since you're into baking...You might wanna try Steam Moist Chocolate Cake. Hey Chinmayi! I'm also a person with obsession on baking & cake decorations. Not sure if you have come across this great site www.egglesscooking.com - Madhuram, another passionate baker has plenty of vegan recipes...I'm a big fan of hers, try it out. This blog has great eggless baking recipes. check it out. There are lots of egg less/veganrecipes out in the world. Sky is the limit, when it comes to baking! check out this website egglesscooking.com.her recipes are great. 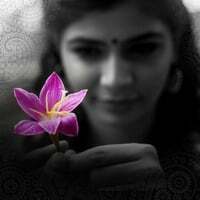 what happened chinmayi, you were not there in sun TVin Sangeetha mahayutham. without you that shows little bit lacking in comparing, it's obivious. I thought atleast you will come in as competiter. Before every Sat & Sun I was waiting very eagrly. Watch out for the extra pounds! Well comments is nothing regarding the baking :) Happened to see Music award function kalaignar TV . As always simple superb performance . . Simple White . . Simple Singing . I was hoping you will get with VTV song you did was happy . amazing hobby to pick up! how are you managing the step up in voltage with a KA from Canada? got an adapter? Eggless baking is goood but you wont get the fluffiness of the cakes which are made with eggs. Try with Egg Replacer and share your comments next time. I am curious to know what model of sunflame OTG do you use? since i am planning one for myself.. and am really impressed and inspired to bake after looking at your baking interests.